My name is Alex Prince. 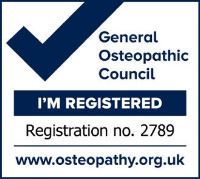 I am a GOsC registered Osteopath and have been in practice since 1996. My aim is to provide professional, effective and safe Osteopathic treatment to all. My mission is to help every patient fulfil their optimal health and wellbeing with holistic Osteopathic care. My Osteopathic life started in 1992 as a student at The British School of Osteopathy. I graduated in 1996 with a 2.1 Bachelor of Science degree with honours. I was also awarded the Osteopathic technique prize for my year. I have since continued my professional development (CPD) attending postgraduate courses in all areas of Osteopathy. On many CPD courses I develop new skills, and on others review the basic Osteopathic skills keeping up me to date. Since qualification in 1996 I have worked in both general Osteopathic practice and with professional athletes in the sports environment. I spent 2 years working with a professional rugby club (1996-1998). In 1999 I lived and worked for a year in Christchurch, New Zealand. I have also worked as an Osteopath in the French Alps, looking after injured skiers. 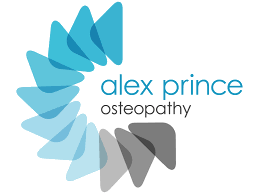 Since 2000 I have largely practiced my Osteopathy in and around the Bristol area. Away from work, I am a keen sportsman. In my younger years, a competitive rugby player. I have since been a keen marathon and ultra-marathon runner. I have a passion for endurance sports. I am an enthusiastic cyclist, a triathlete, Ironman (and “Norseman”), and an adventure racer. I also love skiing and exploring the mountains. My other active hobbies include water sports, tennis and golf (when there’s time). In the last few years I have also discovered the delights of open water swimming. I enjoy this throughout the year, even in the chilly but invigorating winter waters. I have always had a passion for foreign travel, visiting new cultures and amazing places. I have had some wonderful travel adventures in all the continents of the world, including Antarctica (where I even had a swim). In more recent times activity is more relaxed and leisurely, as I enjoy an active family life with my wife Suzanne and daughter, Effie.